BUTLER COUNTY, Ohio — Attorneys for a Liberty Township man charged in the death of a woman who was found dead in a Millikin Road field in August want his statements to police thrown out at trial, WCPO media partner the Journal-News reports. Michael Strouse, of Bluffs Drive, was indicted in September for aggravated murder, murder, three counts of tampering with evidence, menacing by stalking, petty theft, abuse of a corpse and gross abuse of a corpse in the death of Ellen “Ellie” Weik. He is being held on $4 million bond set by Butler County Common Pleas Judge Greg Howard at arraignment. 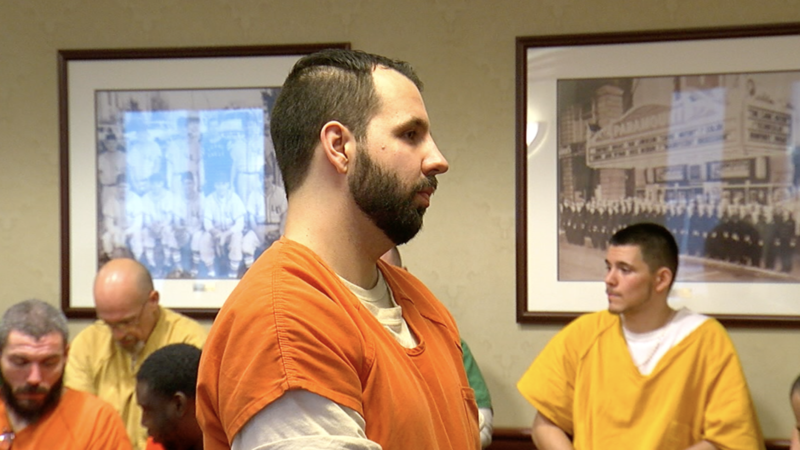 Strouse was last in Butler County Common Pleas Court in December for a pre-trial hearing with attorneys Kyle Rapier and Jeff Bowling, during which the judge set the trial for April 1. At that hearing, defense attorneys indicated they would be filing motions that will require hearings before trial. Late last week, the defense team filed a motion to suppress statements made by Strouse as well as evidence arguing his rights have been violated. A hearing has been scheduled for Feb. 6. West Chester Police interrogated Strouse for eight hours on Aug. 23, beginning at 12:10 p.m., according to the defense. “Police officers did not advise Mr. Strouse of his Miranda rights until over 30 minutes into the the interrogation. During the interrogation, Mr. Strouse asserted his right to remain silent and his right to an attorney. However, police continued the interrogation,” the defense attorneys wrote in the motion. Strouse was released by police at 8:24 p.m., but he asked to leave several times during the interrogation and was ignored, according to the defense. The next day, police found remains of a human body (later identified by the coroner’s office as Weik) in a farm field near Strouse’s residence. The defense says that Strouse was interrogated on Aug. 24 for nine hours without having an attorney available and argues that any statements made after he invoked his right to counsel and evidence discovered as a result should be suppressed. There is no response yet filed by the prosecution. Since Strouse’s arraignment in September, the prosecution has prepared evidence that includes 600 pages of police reports and more than 30 search warrants, according to prosecutors and court documents. Butler County Assistant Prosecutor Brad Burress said in October that the number of search warrants is large for one case but many relate to media devices and their data. The defense also filed a motion last week to hire a forensic expert and allow them to view the “cell phones, computers, digital recorders, cameras, hard drives, flash drives and memory cards” gathered as evidence. “Defendant has reason to believe the confiscated devices will provide evidence that directly contradicts the state’s menacing by stalking allegation…” according to the defense. Strouse had been stalking Weik since the beginning of the year, according to the grand jury indictment. “On or about Jan. 1, 2018 through July 29, 2018 … Michael Strouse did by engaging in a pattern of conduct knowingly cause Ellen Christine Weik to believe the offender will cause physical harm … or cause mental distress,” the indictment states. Strouse is also accused of trespassing on the premises of where Weik “lives, is employed or attends school,” according to the indictment. Weik filed a police report in February stating she had received a “harassing text message” from an unknown person, according to police. Police have not said if Strouse was a suspect in that incident. West Chester Police say Strouse, 29, is responsible for the death of Weik at his Liberty Township home, located about one-quarter of a mile from the field where her body was found. Strouse was charged with murder on Aug. 25. Weik, 23, went missing from her West Chester Township home on July 29. Her mother reported her missing on Aug. 1, according to the West Chester Police.